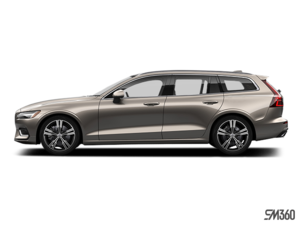 The all-new 2019 Volvo V60 sports wagon is now available at Volvo of Vancouver from just $43,900 plus freight and fees. That's only $50 more than last year's base V60, and it's an entirely new car from the ground up, not to mention filled with state-of-the-art standard features. 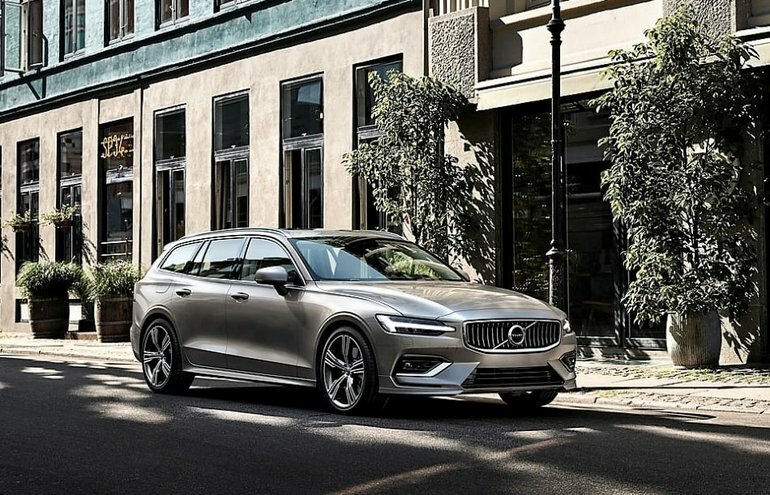 The new 2019 V60 sports wagon's value proposition becomes even more appealing when factoring in its larger dimensions and more accommodating interior. This in mind, the new model probably targets previous V70 customers as much as those who loved the outgoing V60, thanks to a substantive 124-mm greater length overall, plus a 9.6-mm longer wheelbase that results in the most spacious rear seating area in the luxury D-segment. The new model is 51 mm lower than its predecessor too, which adds to its long, sleek visual stance, but nevertheless, it provides ample headroom and legroom for a six-foot passenger behind a six-foot driver, or so reports claim, while the new V60 also boasts 20 percent more cargo room than the outgoing car. The elegant new design sits atop the same Scalable Product Architecture (SPA) chassis architecture that underpins the larger V90 sport wagon, not to mention everything else in today's Volvo lineup other than the compact XC40 crossover that utilizes the brand's new Compact Modular Architecture (CMA) platform, which incidentally will support a new 40 series line of cars in the near future. SPA and the models built upon it have been widely praised by auto pundits and Volvo customers alike, while sales of new Volvo products have been skyrocketing since the brand's transformation that started with the second-generation XC90 SUV back in 2015. No one expects this V60 wagon to sell anywhere near as successfully as that XC90 mid-size SUV or the more recently introduced XC60 compact crossover SUV, or for that matter the upcoming V60 Cross Country that adds a little more off-road flair to this sport wagon's road-hugging handling prowess by the way of a raised suspension and tough looking matte black body cladding-more on that when it's closer to arrival. Still, the V60 targets a passionate sports wagon buyer while supplying a major dose of Volvo DNA to the entire brand. After all, Volvo has had a wagon in its lineup longer than most people can remember, and now that the larger V90 has been slated for cancellation in Canada (it was only ever available via special order in the U.S.), availability of this V60 is critical for keeping up the Swedish brand's down to earth, pragmatic image. Climb inside and any such practical thoughts may at least temporarily be swept away by feelings of pampering hedonism, being that the 2019 V60 continues Volvo's new brand ethos of providing more luxury than any rival. Expect to find more soft-touch surfaces, satin-silver trim, jewellery-like detailing, and genuine hardwood inlays than rivals from Germany, Japan or the U.S., while electronic interfaces are some of the best in the business, from its standard 8.0-inch digital driver display within the gauge cluster to the optional 12.3-inch version of those same primary instruments, not to mention its standard 9.0-inch tablet-style Sensus centre-stack touchscreen. Sensus boasts one of the auto industry's most user-friendly and feature-filled infotainment interfaces that includes 50 percent faster processing speeds than previous iterations used in other models for quicker startup, a quicker response from the backup camera, much-improved voice activation, and faster navigation route calculation. The standard backup camera includes dynamic guidelines and graphics for the standard rear parking sensors, plus Apple CarPlay and Android Auto, 4G LTE in-car Wi-Fi, 10-speaker 330-watt audio, satellite radio, a four-year subscription to Volvo On-Call that features remote start and vehicle tracking, plus connects to one of two standard USB charging ports. The base 2019 V60 is dubbed Momentum, and not only includes the aforementioned items but Volvo's signature "Thor's Hammer" LED headlamps as well, plus 18-inch alloy wheels, metal door sill treadplates, rain-sensing wipers, a powered panoramic glass sunroof, an auto-dimming rearview mirror, a three-spoke leather-wrapped multifunction steering wheel, dual-zone automatic climate control with a Clean Zone Air Quality system and a humidity sensor, unique Iron Ore decor inlays, Moritz leather upholstery, power-adjustable heated front seats with two-way powered lumbar support and driver's memory, a 120-volt household-style power outlet in the rear console, a powered liftgate, power-folding rear seat headrests, power-folding rear seatbacks with controls in the cargo compartment, a semi-automatic cargo cover that conveniently slides up and out of the way when opening the tailgate, a metal cargo scuff plate, black integrated roof rails, dual chromed tailpipes, and more. Of course, this being a Volvo means that safety is of the highest priority, therefore the new V60 features standard City Safety automatic front collision mitigation featuring collision warning, steering support, and full low- and high-speed autonomous braking, plus Driver Alert Control, Run-Off-Road Mitigation, Lane Keeping Aid and Oncoming Lane Mitigation, as well as all the usual active and passive safety features including an airbag for the driver's knees, front seat whiplash protection, and pyrotechnical seatbelt pre-tensioners in all positions front to rear. Of note, the 2019 V60 introduces Volvo's new Oncoming Braking system, which if sensing an imminent head-on collision will automatically actuate maximum braking force two-tenths of a second before impact. This is said to reduce vehicle speed by 10 km/h (6 mph) before a crash, which could potentially be a lifesaver and certainly help to minimize life-altering injury. Momentum trim is available with the choice of two powertrains, the first being the T5 FWD that consists of Volvo's well-proven 2.0-litre direct-injected and turbocharged engine, good for 250 horsepower and 258 lb-ft of torque, and the second the T6 AWD that costs an additional $4,000 for a total of $48,900 yet adds a supercharger to the turbocharged four-cylinder resulting in 316 horsepower and 295 lb-ft of torque. The former allows for a zero to 100km/h sprint of 6.6 seconds and a top speed of 225 km/h, whereas the latter cuts standstill acceleration runs down to 5.7 seconds and ups max velocity to 249 km/h. Both use a quick-shifting and efficient eight-speed "Geartronic" automatic transmission with manual mode to transfer power to the drive wheels. The new V60 can also be had with available Comfort, Eco, Dynamic sport, and Individual Drive Mode Select driving modes, while fuel-saving and emissions-reducing automatic start/stop, which shuts the engine off when it would otherwise be idling, comes standard. The V60's official Transport Canada fuel economy rating is still to be determined, but expect it to be one of the segment's more efficient packages. Volvo's Dynamic Chassis is made up of aluminum double wishbones up front and an exclusive integral link rear suspension design that features a transverse lightweight composite leaf spring, the fully independent setup reportedly balancing a comfortable ride with sporty handling. Those choosing Momentum trim can swap out the standard Charcoal (black) or Blond (beige) leather upholstery with slick $400 City Weave plaid textile inserts in either colour, while standard Black Stone or Ice White exterior paints can be upgraded to one of nine $900 metallic finishes. Additionally, a set of $1,000 18-inch five Y-spoke diamond cut alloy wheels can be added too, while individual options include a $250 Charcoal headliner, $1,150 graphical head-up display unit, and $1,200 14-speaker, 600-watt Harmon/Kardon audio system. Momentum buyers can also add a $1,250 Climate Package that includes heated Aquablades windshield wipers, a heatable steering wheel, and heated rear seats; a $1,500 Convenience Package with Volvo's advanced Pilot Assist semi-autonomous drive system featuring Adaptive Cruise Control, plus a Homelink garage door opener and a compass integrated into the rearview mirror; an $1,800 Vision Package with a 360-degree surround parking camera, Park Assist Pilot semi-autonomous self parking, front parking sensors, auto-dimming power-retractable side mirrors, and blindspot monitoring with rear cross traffic alert; and lastly a $3,400 Momentum Plus Package incorporating dynamic cornering headlamps, headlight washers, fog lamps, proximity-sensing keyless access with a hands-free tailgate function that lets you open the liftgate by waving a foot below the rear bumper, the aforementioned 12.3-inch digital instrument cluster, Drive Mode Select, four-zone automatic climate control, navigation (that lets the cruise control access map data for adjusting vehicle speed through corners when appropriate), Road Sign Information, and more. If you opt for the T6 AWD all of the same standalone options and packages remain, except for wheels that start with a unique set of open-spoke 18-inch alloys as standard equipment and can be upgradable to a set of $1,000 19-inch alloys, while special Amber caramel brown leather becomes an interior option. Moving up to $55,400 Inscription trim adds the T6 AWD powertrain as standard equipment, plus a unique chromed waterfall grille, bright metal integrated roof rails, special 10-spoke 18-inch diamond cut alloy wheels, fog lamps, cornering headlights, a special leather-wrapped and metal edged Inscription key fob, low, medium or high steering assistance via Power Steering Personal Settings, Driftwood decor inlays, the 12.3-inch digital gauge cluster, perforated Nappa leather upholstery, four-way powered lumbar support, ventilated front seats, and more. Option out a V60 T6 AWD and you can have special $1,000 19-inch multi-spoke alloys, the aforementioned Charcoal headliner and graphical head-up display, as well as a $3,750 19-speaker 1,400-watt Bowers & Wilkins audio upgrade, and $1,300 massaging front seats. The Momentum Plus Package is no longer offered due to most of it being standard in Inscription trim, but the three remaining Climate, Convenience and Vision packages remain available. While Momentum and Inscription are the only two trims currently available, a sportier V60 R-Design is expected at some point in the near future, featuring special 18-inch alloy wheels, steering wheel-mounted paddle shifters, and an edgier interior and exterior design, while it will incorporate most of the same features offered in the Inscription. Likewise, the V60 may also be available with Volvo's T8 Twin-Engine powertrain that uses a plug-in hybrid drivetrain to increase engine output to 400 horsepower while reducing fuel consumption considerably. As it is, 2019 V60 Momentum and Inscription trims are available across Canada right now, so you should make your way over to Volvo of Vancouver and experience it first hand right now while some are in stock. The new 2019 Volvo V60 delivers a lot of high-quality premium value for its very reasonable asking price and should be high on the priority list of anyone looking for five-door SUV-like convenience in a more performance-oriented sports wagon body style. 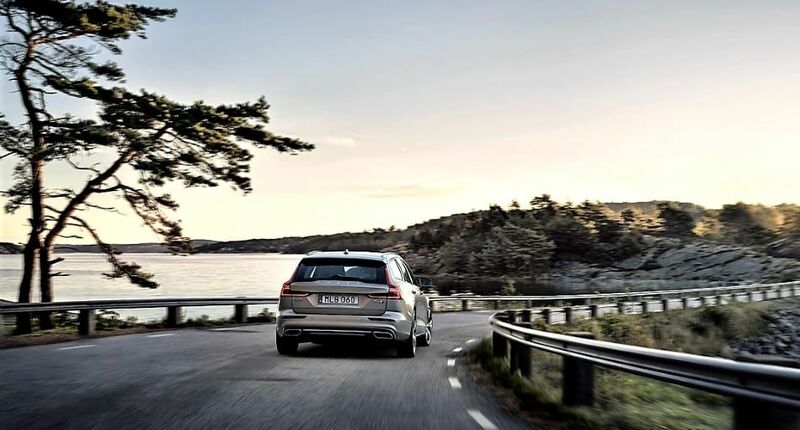 To find out more about the 2019 Volvo V60 or schedule a test drive, contact Volvo of Vancouver by calling 888-454-4165 locally, 888-485-1879 toll-free, or dropping by our showroom at 8530 Cambie Street, just behind the new Marine Drive Skytrain Station and new Marine Gateway urban centre between Cambie and Yukon streets.